Many US service members call North Carolina home and, unfortunately, many service members get divorced here. While getting a divorce as a member of the US armed forces seems more complicated, military divorces are actually very similar to civilian divorces, with just a few important differences. Each branch of the military makes legal assistance attorneys available to both service members and spouses, free of charge. 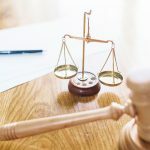 These lawyers cannot represent you in court so it is still necessary for each party to hire a civilian divorce attorney, but the additional legal guidance provides peace of mind for everyone involved. In a typical divorce, the partner that is served divorce papers has 30 days to submit a response. For service members on active duty, the response period may be extended to 90 days. For an extended period, the responder must submit the request in writing and must provide adequate proof that military service prevents them from answering. The court will decide whether the proof is valid and grant or deny the request base on the reasoning submitted. The service member may file for multiple 90-day extensions but this cannot postpone the divorce forever and the court may deny any of the extension requests if there is not adequate proof that they are unable to respond. Moving is a fact of life in the military. Unfortunately, this can complicate divorce even further. Military couples don’t always have the same state of residence and often, they do not claim residency in the state they currently live in or even one they own property in. Laws regarding military divorce and division of property can differ by state so it is important to consider which state you will file for divorce in. To file for divorce in North Carolina, one party must have been a resident for at least six months and the couple must have been separated for at least one year. In the case of military divorce, you need only to have been stationed at and lived on a military base within North Carolina for six months prior to filing. 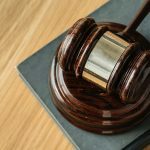 North Carolina is an equitable distribution state meaning that during divorce proceedings, the court will determine what is fair (not equal) distribution of the marital property. The military presents unique challenges to property distribution, however. Military pension and benefits go beyond what most civilians divide between themselves during a divorce. Under the Uniformed Services Former Spouse Protection Act, if a former spouse has been married to the service member for at least 10 years, during which the member performed at least 10 years of creditable service, the former spouse may receive direct retired pay benefits. In addition, there is what is known as the 20/20/20 rule. It states that if you have been married to a service member for at least 20 years, during which time they served for at least 20 years, you may be entitled to full military benefits including a portion of their retirement, medical benefits through TRICARE, as well as commissary and exchange privileges. These laws are complex and no benefits are guaranteed in a military divorce. This is why it is imperative to hire an experienced divorce attorney to ensure you are getting the property and benefits you are entitled to. Don’t try to navigate a military divorce on your own. Let the attorneys at The Doyle Law Group in Raleigh provide the guidance and representation you’re entitled to. To learn more or schedule your consultation, call (919) 301-8843 or fill out the contact form below.